There was 4 in stock on 20 April 2019 at 11:40. 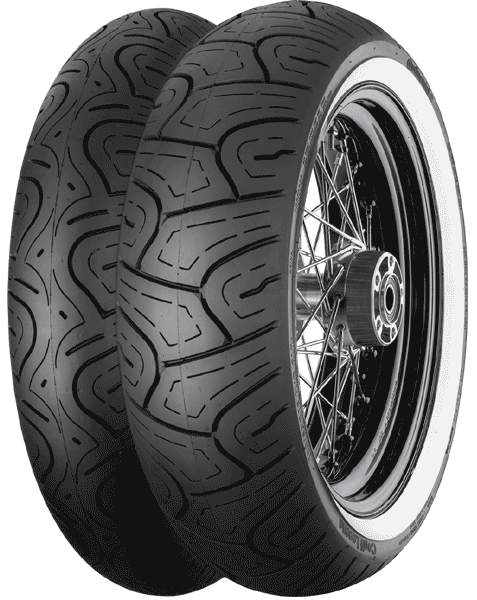 Classic custom whitewall tire for cruisers and heavy touring bikes. A unique pattern design with whitewalls to support the classic look of touring bikes. Made by continental specially for heavy touring bikes, cruisers and Harleys for easy handling. to give you solid behavior and a high level of comfort. The Mileage Plus Technology by continental, features a compound that significantly extends mileage, while maintaining exceptional handling. Multi grooved pattern for optimal drainage. Consistent performance during tire lifetime.